For someone who loves mobile technology, what took me so long to get a Galaxy Nexus is something you may be wondering. When the Galaxy Nexus was first announced with Ice Cream Sandwich I was more than intrigued, I thought I wanted one, and would grab it as soon as it was available, but that wasn't the case. Upon release I began to think about how future ICS devices may be better, I read some peoples complaints about various parts of the device and unfortunately I let that sway my purchase decision. With more ICS choices on the market, like the new HTC and Samsung Galaxy S III devices, the decision became even harder for me to make, and it wasn't until Google I/O this year that I was really able to make my decision and take a firm stand to make a purchase. I have always been a huge fan of Sense, I think that it adds quite a bit to the OS that I find useful, and personally up until last week I was holding out for the Droid Incredible 4G LTE to finally become available on Verizon. After going hands-on with it back at CTIA I really thought that would be the best device for me, Sense 4.0, ICS, great camera, nice look, all that I could really want in the device, but then I began thinking again. Google I/O was huge, it carried quite an obvious underlying message, and it is something that a few have discussed already. Think bad through all the craziness that took place over those few days, think back to what OEM's were there with products, who's products were discussed, and what announcements we saw. Everything that came from Google I/O this year was Nexus related, nothing from Samsung, nothing from HTC, nothing from anyone except Google and their Nexus line. The Nexus 7, the Nexus Q, and then the nearly instant drop of Jellybean for the Galaxy Nexus line, which Google just so happened to make sure every developer at the conference had one of. This is when it dawned on me, Google's focus is very much so on their own Nexus line. The Nexus line of devices is certainly the first in line for updates, and it was pretty evident that Google plans a lot of support for these devices. Previously we have seen rumors of five OEM's making "Nexus" devices next time around, and while that may still be true I think Google will still pick a favorite. Over the past few months we have seen many OEM's tone down the number of devices they are bringing to the table, and instead of flooding the market with devices they are releasing fewer number of devices, and spending extra time and money to make sure they are extremely competitive, and ultimately what the users really want. So, why lock into a two year contract now with a device that could be replaced in only a few months. For me Google has shown enough commitment to the device that I feel it will continue to be kept current, and developers will continue to support it. 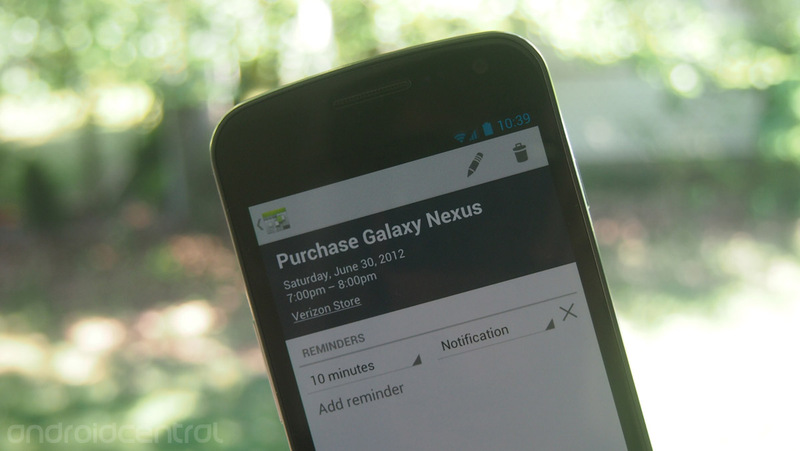 Look back at the Nexus S, it is updated to ICS, and will likely receive Jellybean as well. In the past it wasn't extremely important to me when the manufacturers brought the official update to the devices since I knew the development community would likely do the same job, if not better, but now I am more of a stock kind of person. I was feeling pretty content on my iPhone 4 -- yes, I used one and actually enjoyed it -- and I never felt the need to even contemplate getting the 4S. As soon as an update was available from Apple I could grab it on my device, I knew it was going to be supported, and I didn't feel like I was spending money on something that would be out of date the next month. Up until recently I didn't feel the same way about Android devices, I was always afraid of buying what would quickly become outdated, and that always scared my wallet away from the purchases. Here's to hoping that I am not wrong about this, and that Google will continue to better support their older devices, continue to roll updates, and make me realize this was the smartest purchase I could make at this time.